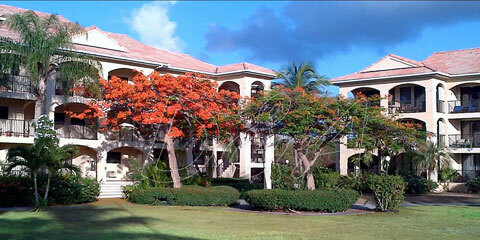 Rent a Villa to Vacation on St. Croix! Concierge services About Us Travel Insurance Reserve your villa NOW! 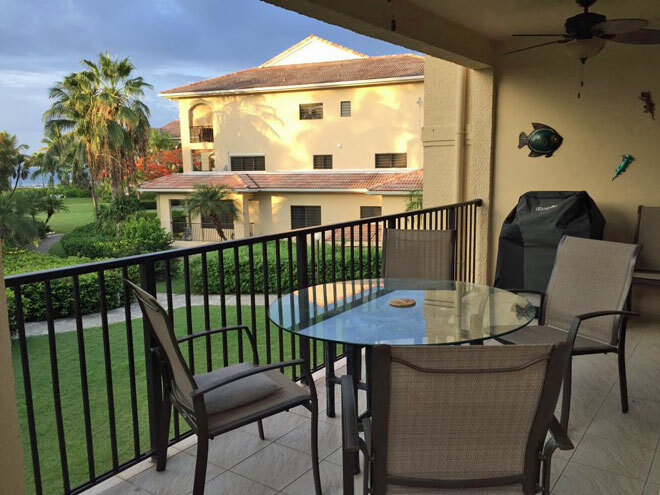 Pelican's Paradise at Pelican Cove - Just steps away from the beach, this large and comfortable 2 bedroom, 3 bath upper floor 2 level end unit condo is located at the sandy beach location of Pelican Cove complex. This upper floor condo boasts of fantastic views from its full length multiple decks! 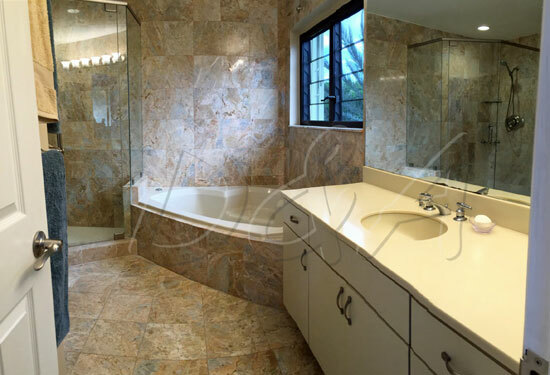 The main floor features the updated fully equipped kitchen with stainless steel appliances open to large living room, large separate dining room, powder room, laundry center, and whisper quiet air conditioning. The spacious and airy living room flows from the hall and kitchen to the outside deck. The condo features ceiling fans throughout to catch those beautiful tropical breezes and is also completely air conditioned with whisper quiet units. 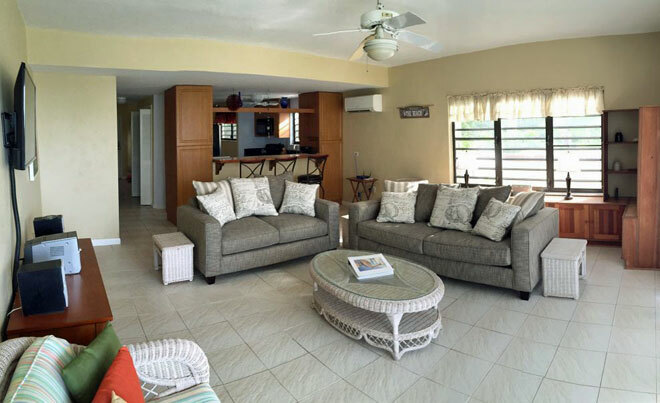 Living room has large screen HD TV, queen sleep sofa for extra guests, fabulous view of sea and palms and 8 foot triple sliding doors leading to the spacious 200 sq ft outdoor covered gallery with tropical ceiling fans, dining table, BBQ grill and view to Caribbean Sea. 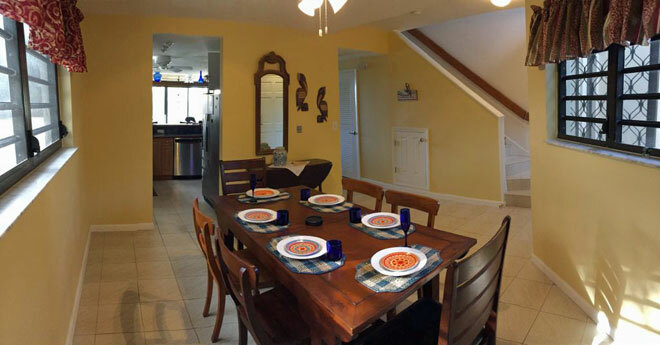 The dining area off the kitchen finishes out the first floor room amenities along with a half bath in the hall. The dining table comfortably fits up to 6 guests along with the 6 chairs. 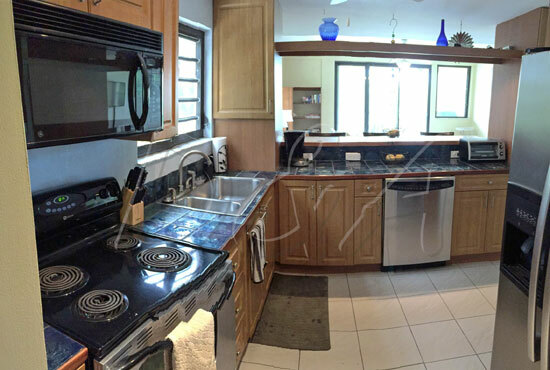 Two bedrooms on the upper level allow for a family or couples to vacation together with privacy. The top floor features the two bedrooms. The large master bedroom includes full en-suite bath with jetted tub and large walk-in shower, king size canopy bed, cathedral ceiling, sitting area, large screen HD TV, his and hers walk in-closets, private covered 150 sq ft sea view covered gallery with tropical ceiling fan, and whisper quiet air conditioning. Guest bedroom with full en-suite bath, two twin beds that can be arranged as a king bed, closet, and individually controlled air conditioning. Towels and linens are provided for you. 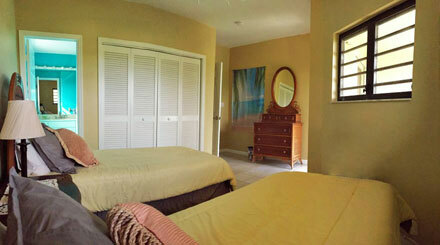 Both bedrooms are very private, perfect for families or guests traveling with friends. 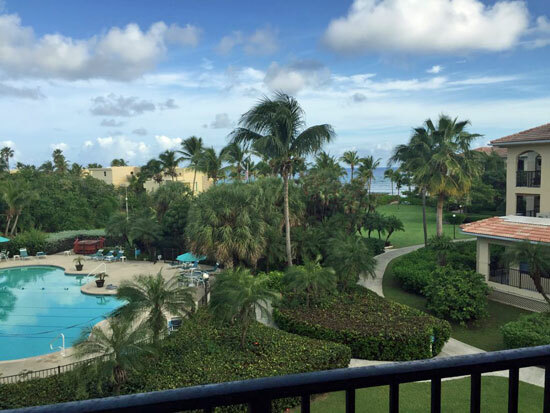 The grounds at Pelican Cove are meticulously maintained with lush tropical landscaping on its immaculate 5 acre grounds and is one of the top condo gated communities in St. Croix. 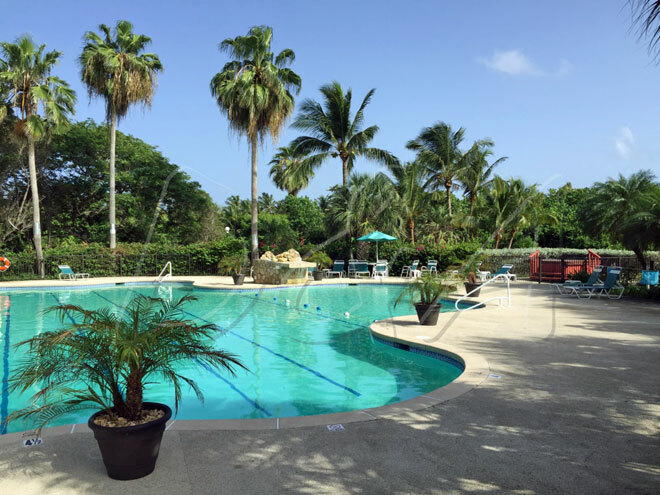 The large, quiet and peaceful pool area features a jetted hot tub spa area, charcoal grill and table/chairs dining area at the pool for guests to use, palm trees and beach and ground views. The pool features a water fall, shallow area for the kids, in pool seating, swimming lanes and a unique ECHOSmarte non salt, non chlorine, chemical free filtration system. The beach is fine sand. The beach is gradual for a long distance. 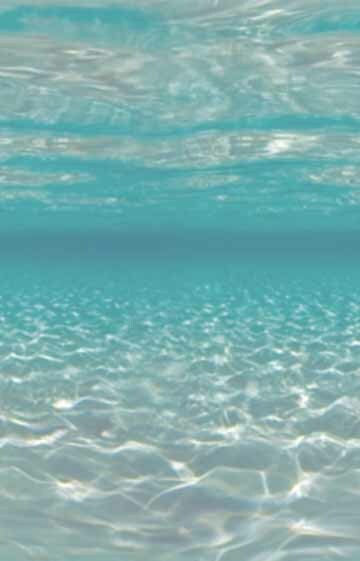 The water is crystal clear water. There are good swimming conditions in warm water. 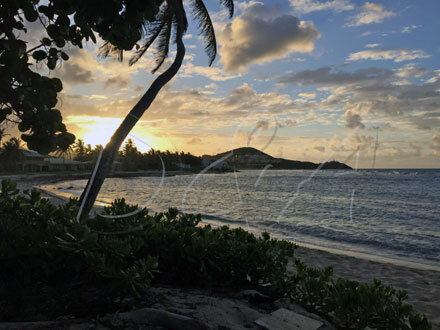 While all beach edges in the Caribbean are public, Pelican Cove has a private, manicured beach cut into its property line with lounge/sunning chairs. Some portions of it are rocky. Pelican Cove Beach on St Croix is proud to receive the Blue Flag Certification - see www.blueflagusvi.org. Just a minute's walk down the beach leads to a perfect swim area where it is also great to snorkel. Snorkeling gear is provided for your enjoyment from the condo owners of Pelican's Paradise. Also provided for your enjoyment are portable beach chairs and a cooler in case you want to go and explore our many other beaches on island. 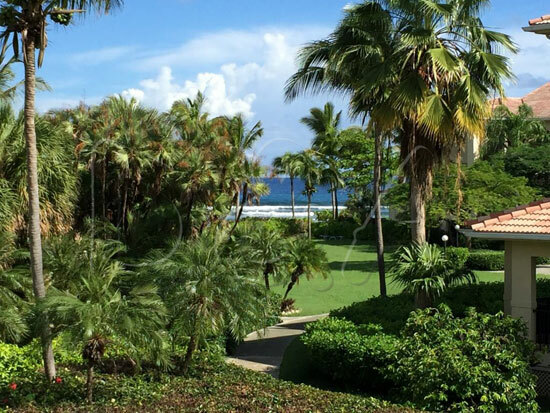 Pelican Cove is centrally located on the north shore of St Croix and is positioned perfectly to get to all the restaurants, shopping and activities on the island. 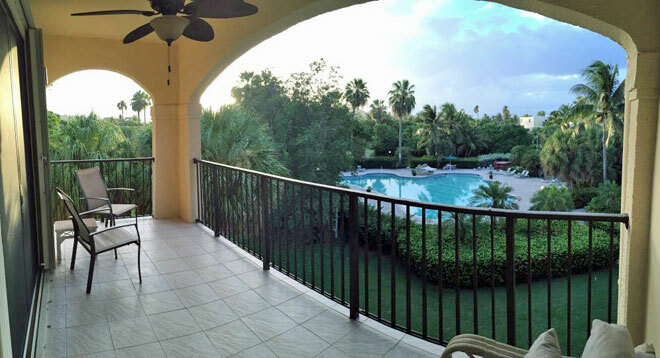 26 minutes from the airport, 10 minutes from the historic town of Christiansted & K-mart, 6 minutes from a main grocery store. Snorkeling/great snorkeling around the island as well as right in front of Pelican Cove and also remember Buck Island (the only national underwater park in the US. National Park System). 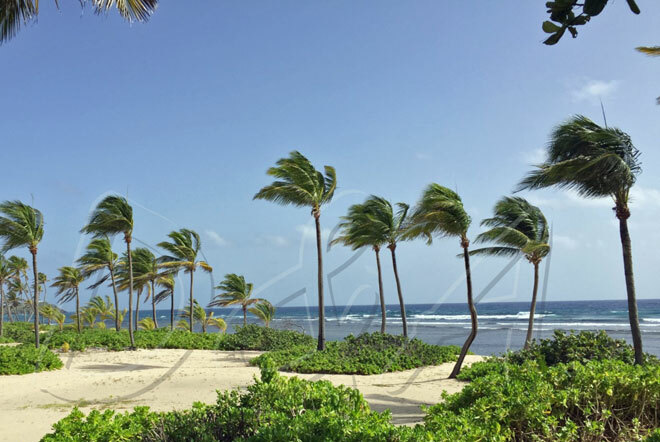 Golf/there are 2 18 hole Golf courses: one being a Robert Trent Jones course at Carambola; the other at Buccaneer Hotel with an Ocean view from the course. There is also a 9 hole course at the Reef. 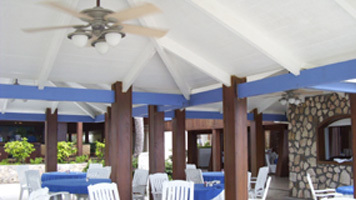 A fabulous restaurant is just a short two minute walk down the beach or through the courtyard at the Palms at Pelican Cove and is open for breakfast, lunch and dinner. Or go for a drink, at the casual bar area - it's a delightful way to spend some time! 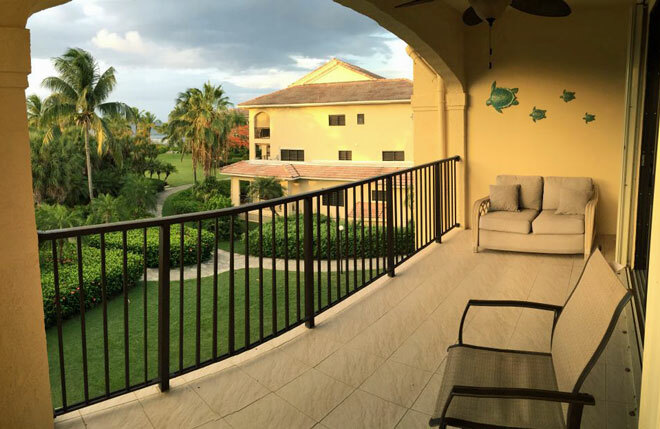 This condo is a perfect choice for a family vacation at a great price! 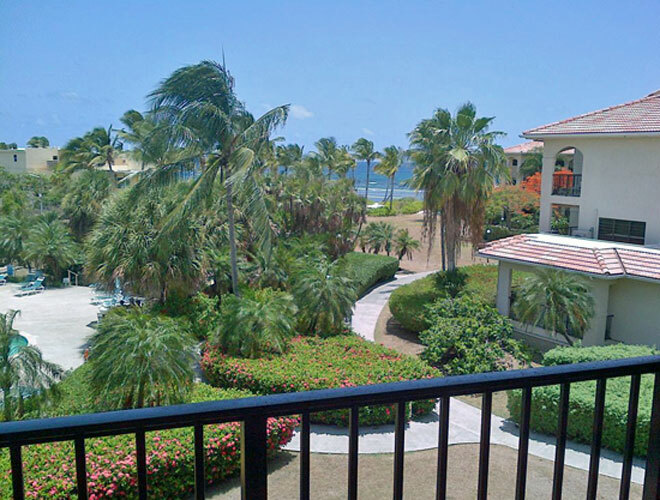 For extended families, it may be combined with the other Pelican Cove condos based on availability. For the enjoyment of all guests, this is a NO SMOKING condo unit both inside the condo & out on the condo deck. Note: Sleep sofa in the living room; $20.00 per night/per guest fee. E-Mail to contact us !